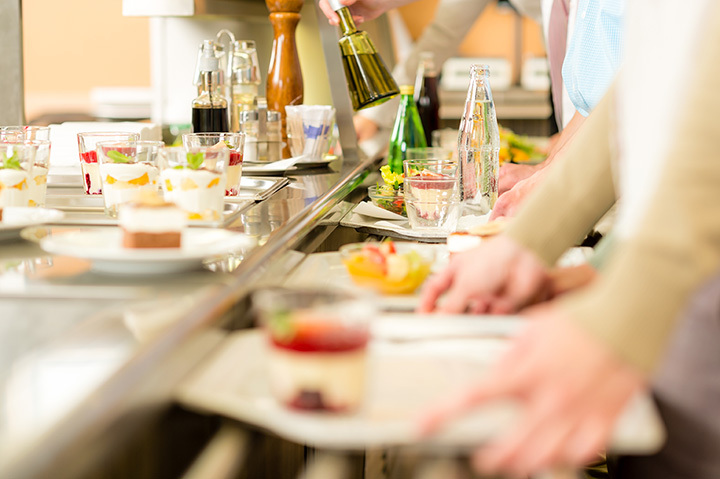 Buffets are a great idea when you’re hungry for a variety of cuisines, and they’re especially great if you’re eating with a group of people and want to save a little bit of money. California offers some very unique buffets, filled with luxury ingredients, brilliant breakfasts, and delicious ethnic foods. Check out some of the best buffets in California where you can indulge your appetite. M Grill is a gem in LA’s Koreatown neighborhood. The Brazilian style of meat on sticks makes for an affordable buffet arrangement. You can opt to go just for the salad bar or enjoy a variety of proteins. Fish lovers should call ahead and the restaurant will prepare salmon as an entrée! Find fresh, home-style options and great service at the Wood Grill Buffet in Norwalk, California. The staggering menu features all kinds of classics: homemade casseroles, fresh salads, country vegetables, homemade breads and desserts, and much more. Bring the whole family to the Wood Grill Buffet and no one will leave hungry. A special spot to find a buffet is in downtown LA’s Intercontinental Hotel. The hotel has really set the standard for culinary offerings. Dekkadance satisfies with a little something for everyone. A seafood spread, desserts, and hot foods all pair nicely with stunning views of the city. Mayura’s lunchtime buffet is filled with all the familiar dishes and a few you have yet to try. It’s reasonably priced and an easy stop on the way to or from LAX. It also makes a good place for a casual business meeting. Workers in the area head to La Paz on Fridays, when the lunch buffet is all you can eat and the price is super reasonable. Families head to La Paz for Sunday brunch, a veritable feast of Mexican seafood and other Mexican dishes along with breakfast basics like pancakes and omelets. You’ll find a lot of Ethiopian cuisine in LA but Rahel’s is a little different in that the chef has paired vegan lifestyle with it! The buffet is offered daily but on Sundays you can get a glass of Ethiopian kombucha to wash it down. Fiery Hot Pot Buffet is a favorite for large groups as it simplifies the hot pot process. The staff is courteous and helpful and the buffet is kept well stocked with delicious bites. Great Plaza Buffet is one of those places where you can find every food imaginable and more—from pizza to sushi. Ask about the various discounts available for groups and seniors and be sure to come in hungry as you’ll find over 150 items to try, from appetizers to desserts. Hibachi City Buffet is a casual spot to have a buffet lunch. You can also weigh your food and get it to go if you happen to need to hit the road. Hibachi has a Mongolian grill and other Asian-influenced food. Choices? We love the sound of that. This buffet-style restaurant can accommodate 625 guests and features over 200 different options for hot and cold food from Asian cuisine, to Italian, Mexican, American, and much more! You’re going to love every bit of this glorious buffet.